When will the club announce changes? Could see still left to go. (On top of confirmed leavers like Rizzo, Malouf etc etc). Props: Traynor, Baumann (Both only injury cover anyway). Would be surprised about anyone else. Heard Voss to Coventry on a loan deal. Maybe in the development team Hills and Maksymiw off. I'm assuming the club isn't going to announce a list of leavers same as last year. Seems to be happening across the board, I see Hasks has signed for the sinners on a one year deal, Cips to Glaws is also a surprise move to me. Our neighbours have also moved on the same number mooted for us, I guess if the teams not winning anything, then that will happen. until the players formally leave at the end of June I don't mind so much, they could still stay if nothing has been signed elsewhere. Once its July though I always think they should put the list out. Dominic Ryan to wuss ? (according to Rugbyinsideline tweet) any mileage in that one ? Pretty random so most likely true. It's been a rumour for a while that he is off. Reffell seems to be a natural replacement IMO so would be a good place to shave cap. Also he wasn't that great, but clearly good enough to play somewhere at a decent level if his concussions don't reoccur. Probably be Worcester's first or second reserve flanker and play around 15-20 games for them I'd think? Is it just me that can't get excited about any of the comings or goings this year, and probably not for a few years either ? So long as we stick with the current head coach and (sort of) DoR, it all has the whiff of rearranging the deckchairs to me. I see the latest arrivals being brought in to address the issues oft referred to on here and would expect more, with the departures going through the door marked 'creaky'. O.K., it may not be perfect but it's a pretty good fist within the constraints, and re-arranging deckchairs it aint! Let's hope you're right - otherwise you'll be eating Humble Pie. Not easy in a deckchair! Our squad looks good, just need to get them all fit and playing off the same game plan and looking after the ball. Only person who is on borrowed time is Skippy. It's not the squad I'm worried about - though there are still a few gaps - no it's the coaching. I'm hopeful that Bakwell will be able to turn the forwards around now he has a preseason with them, but our defence still seems a major weakness. I oft worry about our apparent lack of opponent analysis and subsequent lack of appropriate game plan. 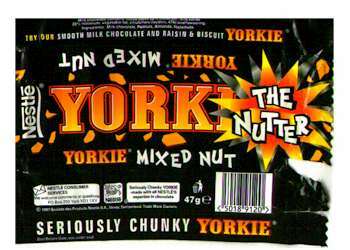 Goneva's first try being a case in point Yorkie. How many times have we seen him do it, but our players obviously hadn't!